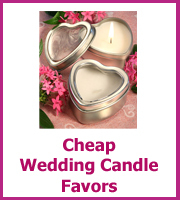 Inexpensive wedding favors are a great place to save some of your budget but you don't want them to look cheap. The curse of cheap favors is that they are left behind on the table and that is just money wasted. Your favors are your thank you to your guests and a little souvenir of your special day. 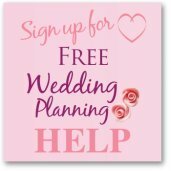 What is an inexpensive favor to one person is still expensive to another so it is a good idea to start with your budget for your wedding favors. 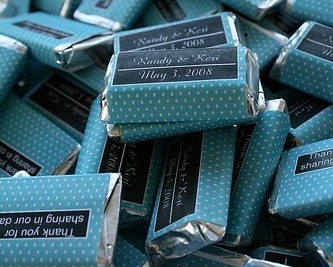 If your budget is working out at much less than $1.00 per person then the best way to go is to have edible favors. You can find personalized candy within this price range, they are the little bars of chocolate with personalized labels, they are tiny. If you are feeling creative then buy your own favorite candy in bulk and then design your own candy wrapper. Microsoft publisher has a template that you can use to design your own wrappers or there are many available free online. 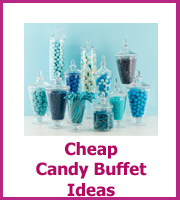 Edible favors are the most popular as most guests love a little sweet treat, one cheap wedding idea that is becoming very popular is to have a candy buffet. 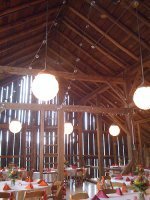 Each guest will have a little paper bag that they can fill with their favorite candy from the candy buffet, the buffets look great when you match all of the candy colors to your wedding colors. If you are great at baking then you could treat your guests to one of your famous creations, this could be a cookie or a cupcake and you could personalize with your guests' names and even add the recipe for a very unique wedding favor. 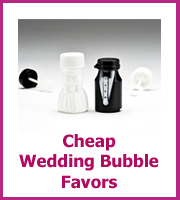 The wedding favors below are less than $1.00 each, and if you had one for each couple rather than one for every guest you could save yourself even more! 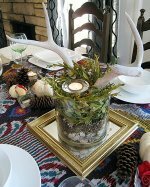 Seed packets are also an inexpensive favor that you can put together yourself. You could have a seed mix of your wedding flowers or sentimental forget-me-nots or for the more practical and gourmet weddings how about fruit and vegetables from your wedding menu! You can also find discounted favors that will fit with your budget, end of season and end of lines that would be perfect. The discounts won't necessarily be under a dollar but they will be a lot less than if you bought them in season. 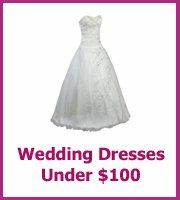 My Wedding Favors have a good range of inexpensive wedding favors use the following to get even more off your order! Enter coupon code SAVE5 to receive 5% off of your order. Just click on the link to be taken to their site.